Richmond’s Winehaven: A Future Indian Casino? Editor’s Note: What follows is a retrospective of the controversy surrounding an abandoned site in a secluded spot near the Chevron refinery in Richmond, California. Since I moved to the small city in the East Bay, the site has been on my list of places to photograph. But Point Molate also represents a darker side of city politics that few are willing to talk about. Interspersed with photos of the abandoned “castle,” I’ll tell you about the very prescient influence of Indian Gaming on city politics in California. I hope you enjoy. Plagued with the highest homicide rate on the West Coast, Richmond, California often gets the brunt of bad media attention. 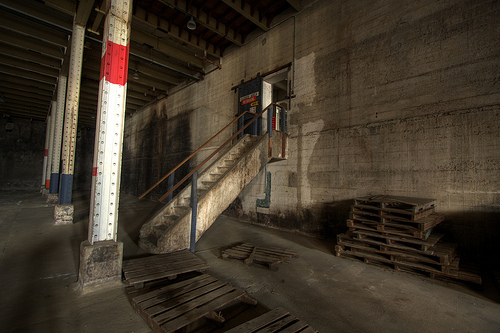 The East Bay city of 100,000 is gripped by the problems of urban blight and industrial legacy. On the North side of town is the Chevron oil refinery. 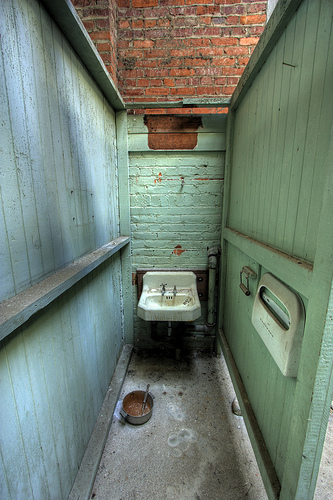 Since 1902, its effluence has seeped into the surrounding air. The winds from the San Francisco Bay sweep across the former Bay island of Potrero (now a peninsula) and carry refinery pollutants towards the impoverished neighborhoods to the East. But on the West Side of the Chevron refinery is the city’s best kept secret – a small, little-developed waterfront stretch of 423 acres that reached the BRAC cutting room floor during Clinton-era military cutbacks. 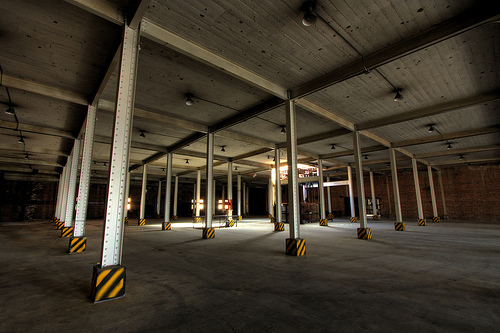 As a result, a former military fuel depot has fortuitously landed on the City of Richmond’s doorstep. This gift – sold to Richmond for $1 in 2003 – has quickly become a veritable ‘toxic asset’ for the city, which now finds itself at the center of controversy and competing interests. The 423-acre plot at Point Molate represents the very distillation of the struggle between Use Value and Exchange Value in local land use politics. At stake is a billion-dollar Native American gaming project; the interests of a coalition of environmentalists, municipal parks, and biking groups; the third most profitable corporation in the U.S.; and a slice of the $5.1 billion Native American gaming industry in California. Few other examples in California development history portray the intricacies of local land conflict as much as the conflict over Point Molate; knowing that, this paper will assert that Native American gaming compacts present some of the most controversial and challenging problems of modern urban planning history, and their implementation lacks the consensus that serves the best interest of most communities. Ultimately, Point Molate represents the continuing struggle between community autonomy, Federal law, and big business. 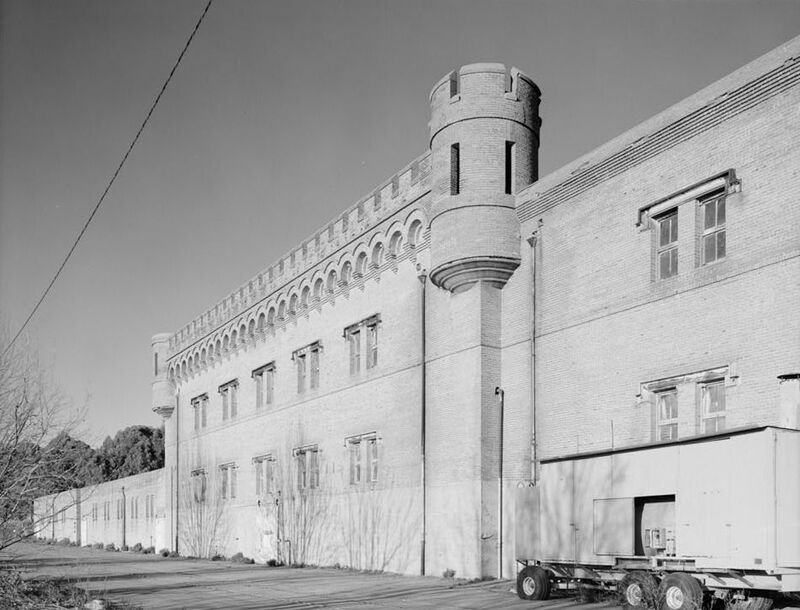 Richmond’s industrial base was born when Standard Oil Company moved into the East Side of what was then Potrero Island. The surrounding hills served as a perfect, terraced holding-place for a large tank farm, which was continuously replenished through oil tanker arrivals at the nearby pier in the San Francisco Bay. 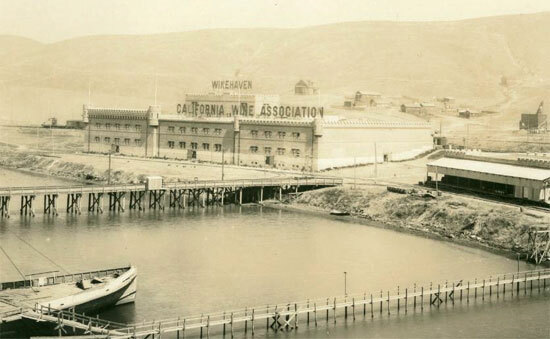 Prior to 1900, the unique geographic assets of Potrero Island (which had become a peninsula in the early 1900s) led to its formation as a Chinese shrimp camp; after 1906, Point Molate was further exploited by the growing shipping needs of the California Wine Association, whose headquarters in San Francisco was devastated by the Great Quake. 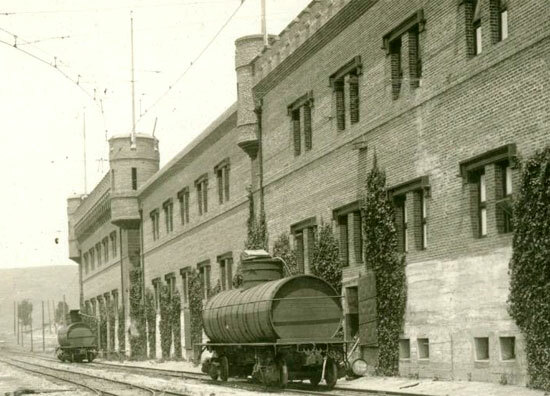 The California Wine Association – once the “world’s largest winery” – had gone largely out of use during Prohibition. By 1941, the United States Navy entered the fray. War-time demand for petroleum meant that Point Molate would be ground zero to store and distribute oil for the Pacific Ocean theater of operations at Iwo Jima, Marshall, American Samoa, Bikini, and beyond. Since 1902, oil has played a major role in the development of the Point Molate area. As one of the earliest industrial heavyweights in California, Standard Oil’s Richmond Refinery used the promontory of Potrero Island to their advantage, eventually becoming “one of the world’s largest refineries.” Today, Chevron produces 243,000 barrels a day from its Richmond facility; the company boasts of contributing $61 million to community development in the city of Richmond. Chevron is just as vehement as the Guidiville Rancheria tribe in establishing their interest in Point Molate. In fact, the company hired former San Francisco Mayor Willie Brown to lobby for them with the Richmond City Council. Community leaders contend that Chevron’s interests in the land are to provide a “buffer” of security between their refinery and any further human habitation. Gary Fisher, a Chevron external affairs manager noted that wildfires and security are some of Chevron’s top concerns. “The opportunity for trespassing and vandalism, including an avoidable increased risk for a potential terrorist act directed towards the refinery, increases with public access,” Fisher wrote. What Fisher doesn’t mention is perhaps the most compelling reason for Chevron’s interest in the land: Liability and the concern of class action lawsuits. According to an environmental report from the Navy, “an ammonia leak at the refinery could create a toxic cloud,” which would endanger the life of anyone who is nearby. Chevron offered the City of Richmond $83 million for Point Molate (in addition to the ongoing property taxes assessed for the property) making it the most lucrative up-front offer for the land (the Guidiville Band offered $50 million). Chevron maintained that it intended to keep the land as a privately owned open-space preserve. This produced an unlikely partnership: Environmental groups that are generally “anti-Chevron” joined forces with the oil company to oppose the Point Molate casino project. Surely, money was a big part of the motive for all parties involved. The city of Richmond hired a consulting company to analyze the casino potential of Point Molate – most telling was that the city did this before they received ownership of the land from the Navy. What the consultants found was a gold mine for the city, but more importantly, for the developers. The report estimated $500 million in economic activity each year; Upstream signed an agreement that the city would receive $20 million annually. In the midst of it all, Levine sold his plan to the public through a combination of promises of largesse (3,000 onsite jobs, 3,600 offsite jobs and 1,000 construction jobs);  environmentalism (Levine greenwashed the development as the “greenest project ever erected in California”); and rehabilitation of the historic Winehaven buildings (probably to appease the Design Review Board). For a while, it looked like the project was dead in the water, but City Council member Gayle McLaughlin (who opposed the project) said that the city – perhaps a bit too giddy with their newfound wealth – had already spent some of the $15 million in deposit money that Levine and his partners paid early in the process. Upstream simply restarted from scratch, hiring consultants to draft a behemoth 3000-page Environmental Impact Report. Perhaps most telling about the project, however, came through silence that followed. There was relative lack of large-scale community involvement in opposition to its plan. Perhaps the Environmental Impact Report was just too long? If one were to read the news reports of the project, one would get the sense that the project was a well-conceived plan with little public opposition – if a bit susceptible to the whims of bureaucratic rigamarole. Of the dozens of newspaper articles that describe the controversy, very few – if any – include comments from actual community members. In the case that community concerns are cited in stories, it’s usually in the form of concerns that the project won’t go through. And even in the rare case that community opposition is cited it’s actually community members from communities other than Richmond. It appeared that Richmond wasn’t the developers’ only target – it was simply the most convenient. Napa resident John Salmon, who is a partner with Levine in the project, originally was strongly against casinos in a talk in 2005 to Napa Rotarians. Apparently, Salmon said that the Richmond casino was a good deal for the Napa Valley, because it would relieve pressure that might otherwise lead to a gambling in the middle of Wine Country (where the Guidiville Pomo actually did originate from). The March 5, Napa Rotagram quoted Salmon as saying, “Molate will bear a likeness to Ghirardelli Square, and with its high-end qualities, will take the pressure off Napa and other North Bay locations that may face future casino proposals.” Additionally, The Guidiville had originally proposed a casino in nearby Solano county, but the Board of Supervisors were adamantly against it – along with all community members in attendance at the meeting. However, the absence of community involvement portrayed in the media isn’t the entire story. When one looks at the appendix of the Environmental Impact Report – nearly 2000 pages by itself – the true community opposition reveals itself fully. In Section 4 of Vol. 2, starting at page 74, the public review documents are displayed – over 400 pages in all; many of them state ardent opposition to the plan. Members of the community cited crime, traffic, gambling problems and the need for open space. But towards the end of Section 4, is the impassioned transcript of James Easter, who has lived in Richmond for 57 years. His words sum up – I think – the very real issue of Indian Gaming, and ultimately it arrives at the crux of my thesis and the true reason why communities are most often affected negatively due to Indian gaming, despite their presumed tax bounty. BRAC – which stands for “Base Realignment and Closure,” was an Act of Congress in 1988. The Act helps return former military bases to public and community use. “BRAC – US Gov,” para. 3. “Draft Environmental Impact Statement / Environmental Impact Report,” 138-139. Weinstein, “Storming the Castle,” para. 10. 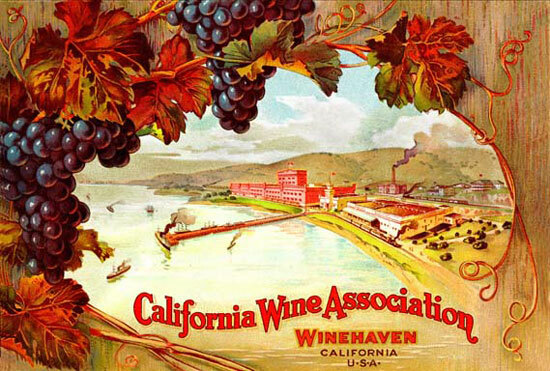 Fronistas, “Before Napa, there was Winehaven,” para. 3. “Chevron Energy and Hydrogen Renewal Project,” para. 6. Vega, “Point Molate Casino On Track After City Council OKs Proposal,” para. 3. Williams, “Point Molate: Waterfront Dream or Terrorist Nightmare?,” para. 6. Rosen Lum, “ChevronTexaco Hires Willie Brown to Undo the Deal,” 10. Brenneman, “Berkeley Developer’s Big Dreams Dominate Richmond Landscape,” para. 16. Simerman, “County ready to back Point Molate casino plan – ContraCostaTimes.com,” para. 8. “Richmond OKs Point Molate casino project,” para. 6. Brenneman, “Point Molate Casino Gets Fast-Track Status,” para. 4. Simerman, “County ready to back Point Molate casino plan – ContraCostaTimes.com,” para. 1. Hoch, “Governor Letter Against Pt Molate,” 1. Tam, “Sides still divided over Richmond casino-hotel plan’s potential impact – Inside Bay Area,” para. 17. Brenneman, “State Attorney General Joins Point Molate Casino Fight,” para. 5. Brenneman, “Lawsuit Challenges Point Molate Casino. Category: News from The Berkeley Daily Planet – Thursday January 29, 2009,” para. 31. “BRAC – US Gov.” Government. http://www.bracpmo.navy.mil/basepage.aspx?baseid=50. Brenneman, Richard. “Berkeley Developer’s Big Dreams Dominate Richmond Landscape.” Berkeley Daily Planet, April 26, 2005. http://www.berkeleydaily.org/issue/2005-04-26/article/21243?headline=Berkeley-Developer-s-Big-Dreams-Dominate-Richmond-Landscape-By-RICHARD-BRENNEMAN. ———. “Lawsuit Challenges Point Molate Casino. Category: News from The Berkeley Daily Planet – Thursday January 29, 2009,” January 28, 2009. http://www.berkeleydailyplanet.com/issue/2009-01-29/article/32111?headline=Lawsuit-Challenges-Point-Molate-Casino. ———. “Point Molate Casino Gets Fast-Track Status. Category: Front Page News from The Berkeley Daily Planet – Thursday June 12, 2008.” Newspaper, June 12, 2009. http://www.berkeleydaily.org/issue/2008-06-12/article/30235?headline=Point-Molate-Casino-Gets-Fast-Track-Status. ———. “State Attorney General Joins Point Molate Casino Fight.” Berkeley Daily Planet, April 22, 2009. http://www.berkeleydailyplanet.com/issue/2005-04-22/article/21212?headline=State-Attorney-General-Joins-Point-Molate-Casino-Fight-By-RICHARD-BRENNEMAN&status=301. “Chevron Energy and Hydrogen Renewal Project.” Corporation. Chevron, Spring 2009. http://www.chevron.com/products/sitelets/richmond/renewal/. “Draft Environmental Impact Statement / Environmental Impact Report.” http://www.pointmolateeis-eir.com/documents/draft_eis-eir/report.htm. Fronistas, Phoebe. “Before Napa, there was Winehaven.” Blog. 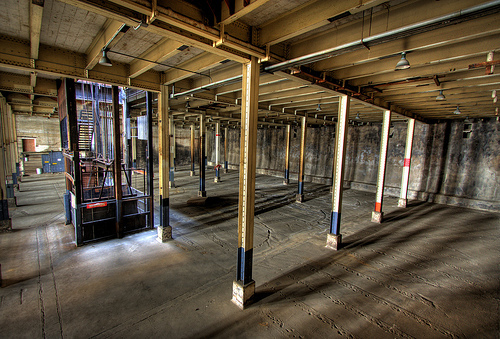 Richmond Confidential, October 13, 2009. http://richmondconfidential.org/2009/10/13/before-napa-there-was-winehaven/. Hoch, Andrea Lynn. Letter. “Governor Letter Against Pt Molate,” October 12, 2009. http://docs.google.com/fileview?id=0B2Vh92XtfvhnNWRkYjNmMTktMjFkYS00NDVlLTk4NjItYTdhNTU3OTA0NTU4&hl=en. “Indian Gaming in California.” http://igs.berkeley.edu/library/htIndianGaming.htm#Topic1. Korosec, Kristen. “Exxon, Chevron Win in a Loser Year for Top 500 Companies | BNET Energy Blog | BNET.” News. BNET, April 20, 2009. http://industry.bnet.com/energy/10001114/exxon-chevron-win-in-a-loser-year-for-top-500-companies/. “Richmond leads per-capital murder rate in California.” San Francisco Chronicle, June 10, 2008. http://www.sfgate.com/cgi-bin/article.cgi?f=/n/a/2008/06/10/state/n103604D95.DTL. “Richmond OKs Point Molate casino project.” Contra Costa Times, November 10, 2004. http://www.tombutt.com/forum/2004/041111.htm. Rosen Lum, Rebecca. “ChevronTexaco Hires Willie Brown to Undo the Deal.” Contra Costa Times, November 11, 2004. Santiago, Chiori. “Betting on Point Molate.” Bay Nature, 2005. http://www.baynature.org/articles/jul-sep-2005/betting-on-point-molate. Simerman, John. “County ready to back Point Molate casino plan – ContraCostaTimes.com,” October 31, 2009. http://www.contracostatimes.com/ci_13685421?source=most_emailed. Tam, Katherine. “Sides still divided over Richmond casino-hotel plan’s potential impact – Inside Bay Area.” Oakland Tribune, September 19, 2009. http://www.insidebayarea.com/news/ci_13368891. Vega, Cecilia. “Point Molate Casino On Track After City Council OKs Proposal.” http://www.sfgate.com/cgi-bin/article.cgi?file=/chronicle/archive/2004/11/11/BAG869PFRE1.DTL. Weinstein, David. “Storming the Castle.” Preservation Magazine, July 25, 2009. http://www.preservationnation.org/magazine/story-of-the-week/2003/Storming-the-Castle.html. Williams, Susan. “Point Molate: Waterfront Dream or Terrorist Nightmare?,” October 9, 2009. http://www.baycrossings.com/Archives/2003/09_October/point_molate_waterfront_dream_or_terrorist_nightmare.htm. This entry was posted on Sunday, May 16th, 2010 at 9:56 pm	and is filed under Built Environment, Geography in the Media, Geotagged, History, Military, Politics & Borders, Special Series. You can follow any responses to this entry through the RSS 2.0 feed. You can skip to the end and leave a response. Pinging is currently not allowed. Extremely well-researched, Jon. I hope more people in Richmond get the chance to read this. Thanks Andy! Like many of my pieces this originally was written for a night course. I’m often inspired by the research more than the actual photography. The one issue I have with Indian casinos is their smoking policy. As a sovereign nation they still must comply with local laws but they have been able to sidestep the smoking law. Of course people have a choice to visit the casinos but I am concerned about the employees who must suffer the well known consequences of second hand smoke. Is there any ethical base within the Indian Casino decision makers? Obviously profit comes before public health. Really worthwhile information on the history and background of peoples and businesses affecting Point Molate. NO to the casino operation. There are plenty of opportunities for people to gamble in the area within 30 miles. While you cite some of my stories, I also covered all the federal/state environmental hearings on the project and provided a wide range of community comments, many of them critical. I also interviewed many people critical of the project and reported their views [including those of the mayor]. My reporting made it very clear that there was considerable opposition to the project, and that the city’s motivation for participation was economic desperation. Richard: I do apologize for overlooking your reportage of the events. I agree that your reporting was fair, and I turned to it frequently for very good reasons – one of which is that nobody else in the MSM seemed to be covering this HIGHLY controversial and important issue. Regarding my omission of the community comments you collected: May I ask for some links, and I’d love to make the correction post-haste ? Thanks! It was an honor to hear from you.